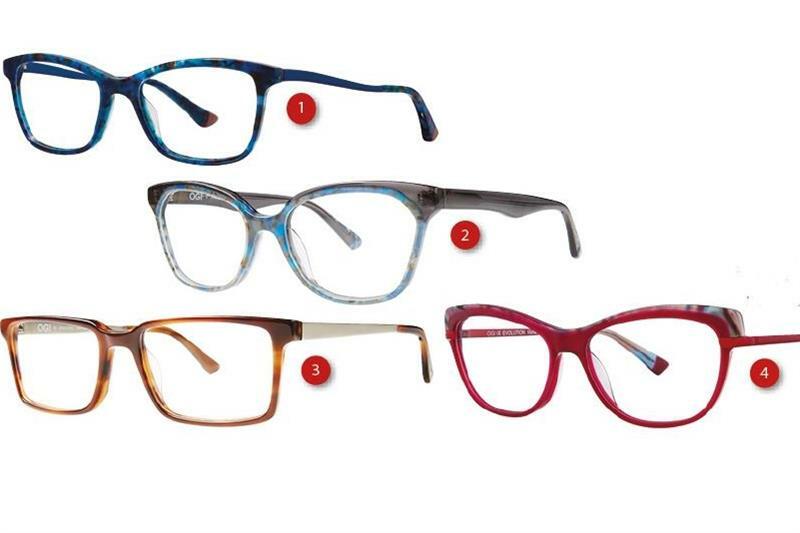 Ogi Eyewear has bolstered its line with four new frames that come in four bright colourways. 9122 (1) has a smooth and silky stainless-steel temple finish with bold uses of colour throughout the acetate and 9239 (2) uses duo-tones acetates with purposeful angular shaping. 9248 (3) is a rectangular frame complemented by neatly placed stainless-steel temples and 9249 (4) is a retro cat-eye shape with shimmering acetate and stainless-steel temples.